There comes a time when you purchase a phone with a GPS (especially an iPhone) in it that you're going to need an app for navigation. The term app is pretty synonymous with the iPhone and the App Store from Apple. 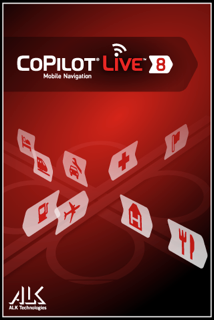 This review is about such an app for the iphone called: CoPilot Live 8 from ALK Technologies - www.alk.com which is a navigation app to allow you point to point to point navigation either by walking, driving, cycling, motorcycling, and I believe if you're in a private plane you could probably use it there as well. My closest point of comparison for this app is the AT&T Navigator product which is a monthly charged service from AT&T. 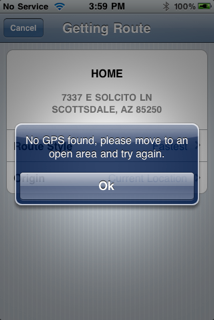 CoPilot offers subscriptions for some of its services, but the app itself places map information onto your phone so that if a gps signal is lost it can reference local information and provide you a continuous map interface. (I like this!). Sure 1.6gb is a bit heavy for an application, but...with that convenience I am more than willing to give up some space on my phone. My phone is the 32gb iPhone 3Gs. I've been using it for some time and have even used the Maps app for some point to point navigation, simply following the 'blue-ball', but in practical cases of driving, one wants to hear where they are going and whether or not they are on the right track. CoPilot does this over navigator quite well. A1 - SPEED!! Oh MY GOODNESS this app is QUICK at starting, rerouting, calculating routes, etc. Beats AT&T by a MILE and then some!! b. Day/Night Mode - Choices of day, night, auto (this could use a timezone sensitivity as it turned to night several times during broad daylight and that was a distraction). c. Screen orientation - this should always use the device settings, and removing this preference could save some confusion. Either portrait or landscape if you flip your phone. d. Driver Safety Mode - Large display of information. I LOVE THIS!! So does my wife. "You can read it without playing with it. I feel so much safer than with AT&T's thing"
e. Points of Interest - Turning them on or off and the wide variety of them. (there is a bit of overkill in some of these preferences. f. GPS (see below) - I loved being able to see that the software sensed the GPS, gave time, elevation, speed so that I could see my speedometer was a bit off. a. App cannot seem to determine current location at my home location. When I am home and I launch the Maps app it takes that blue dot and zips right over our house and tells me exactly where I am. With this app it says I am between 1 address and another one. I have to physically enter my HOME location into the app. More point and click please. This below is from AT&T's app, I did not snap the one from CoPilot, it basically said the same thing. Once I plugged in my information it verified that I knew where I was. 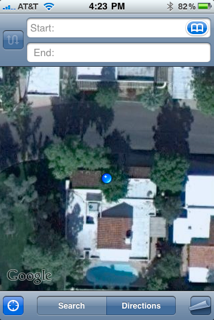 but that blue dot is right where my phone is as I write this review. Seriously. b. 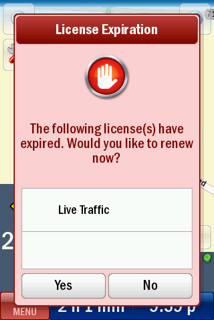 The licensing information talks to a server, so along the trip back live traffic was unavailable for about 2 hours of critical driving time because it said my subscription had expired. It does not expire until 2011. So that made me a little concerned, but it simply made that part of the app not work. It did not disable the routing section of the app and that's what I needed most in that time. Having the traffic indications would have helped me a bit. After the connection to the license server was reestablished I received warning of a traffic incident in enough time to avoid it. The app rerouted us around it and we actually saved some additional time. We were not on US 60E at that time so this was a bit disconcerting but not a deal breaker by any means. Once again notice the green satellite in the lower right corner. GPS knew where we were but the maps were off a bit. We did make it home just fine. Notice in the picture that the road clearly states Route 93. 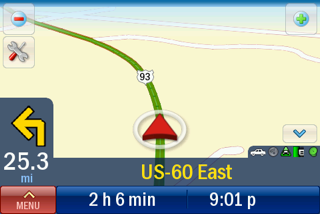 Perhaps that display says "in 25.3 miles turn left onto US 60 East" and if that's the case. I apologize, but this did happen a couple of times when we were on completely different streets. **UPDATE - Received information from ALK on this: The info bar can be customized to show next turn coming up or current road. They have a great blog at: http://blog.us.copilotlive.net/?p=91 which has this information and so much more. To be perfectly honest, I LOVE THIS APP! I am not saying that because they gave it to me to download and try out. I am saying it because for the longest time I thought AT&T's was good and then along comes CoPilot which does not have some woman yelling at you that "YOU ARE NOW OFF TRACK" every second until you figure out how to mute her. What this app does is very quickly and very quietly re-route you and ensure you know when you need to make your next turn, and it does it VERY WELL. 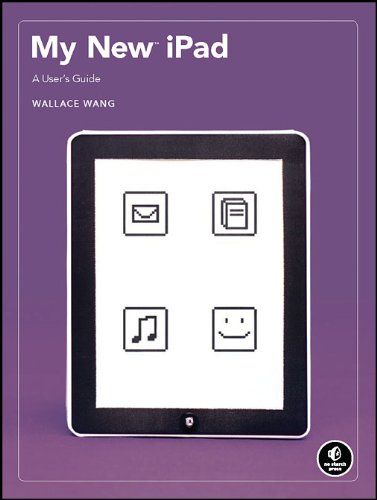 Some have complained about the busy-ness of the user interface. I will be the first to comment on this and say that the interface for the app does need a going over. Icons are too large, and there's too many choices in there. Do yourselves a favor and take 10 people who use driving apps (I'll be happy to be one of them) and poll them for the features they use the most. Make that a SIMPLE mode, then take those same 10 and say "Okay, if you use those in simple mode, what would you like to have access to in the advanced side of things?" The "Show less settings" button is buried a bit and so that could be moved around to make things easier to find and change up. I would also in the live section reduce the size of the icons and have traffic, weather, and fuel be the top 3 items there. The live link...not really needed and the live local search...why? 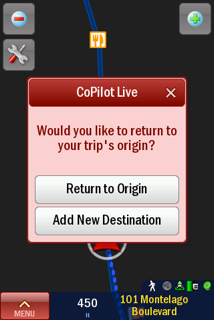 If you're picking between AT&T Navigator and CoPilot Live, your best investment is COPILOT. It's a safer app to use. It will get you to your destination (or at least more into the vicinity of it than Navigator will). It's MUCH faster on startup as well as creatively rerouting you and not yelling at you. There are a lot of things that can be adjusted in it and while some may find this overwhelming, it's handy to be able to adjust those warnings and things of that nature. I cannot compare any other apps as I've only used these two. Out of these two my choice is CoPilot LIVE. If ALK would like some advice on this app I'd be happy to discuss with their engineers how they can improve this application and make it more user friendly based on some simple changes to the user interface. It would be nice to have more selection of voices, even it out with 2 men, 2 women or 3 and 3 but no need to favor the men over the ladies. We all respond different to some telling us where to go and in those times when stress is high, having a soothing voice suggest for you to turn is much nicer to hear than "YOU ARE NOW OFF-TRACK!!!" (Insert Mom at 3 yelling at you for diving into the cookie jar. AT&T your APP really does that). Thanks ALK for the opportunity to review your Application. It works, its performance and usefulness outweighed the little quirks along the way, and I am sure that through some quick updates to the software, perhaps downloading license information to the app would help the traffic item work all the time vs. providing an outage at a critical point in time. The other items are purely cosmetic fixes that need a bit of attention and user interface testing. Suggesting ages 25-55 test this app out for you as that's right in the range of your target market. This APP rates a "DOCMURDOCK-APPROVED-BIGTIME" Rating.